When genealogy is one of your passions, there comes a point in time when you go full nerd. I’ve been known to get my geek on about life in bygone eras, political and cultural upheaval brought on by The Reformation, migration routes and diasporas. Nowadays, I find myself fascinated by consumer DNA testing. One of the most crucial pieces of evidence yet found to help identify the wife of Thomas Johnson, one of the founders of Newark, New Jersey is the disposition of the estate of Ellen Bostick of Stratford, Connecticut Colony. This document is an extraordinary find, as Ellen Bostick was a married woman – or in legal terms, feme covert – at the time of her death in 1677. By law, any property (real or personal) she brought into her marriage to Arthur Bostick was his. But previously transcribed passages from this record have caused some confusion as to the nature of Ellen Bostick’s relationship with Thomas Johnson, who was originally from New Haven Colony. Fortunately, one of the members of Wikitree’s Puritan Great Migration Project generously emailed me a scanned copy of the court record regarding the final disposition of Ellen’s estate. By making my own painstaking transcription of this almost indecipherable manuscript, I now feel confident of the identity of Thomas Johnson’s wife. It’s funny how a closer look at a document can cause ripples in an established family history. 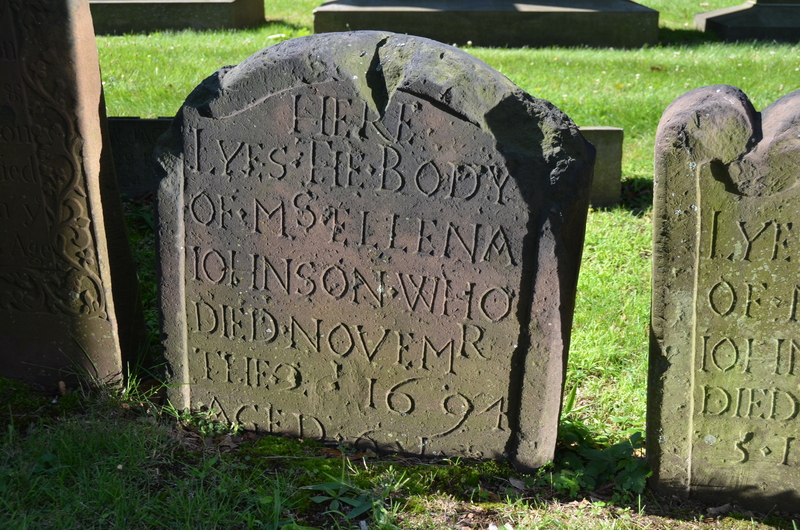 Thomas Johnson, of New Haven Colony and, later, one of the original settlers of Newark, Province of East Jersey had a wife named Ellena who died just three days before he did. There is no doubt about this, as she is buried with him in Newark and her 17th century grave marker still intact. Death at sea. It sure makes for a compelling family origin story. And the story of the ill-fated voyage of the Matthew Banes family from Lancashire, England to Pennsylvania in 1687 is true one that has been published in annals of history. Matthew Banes, his wife Margaret and two of their four children, Thomas and Timothy, died en route to William Penn’s Quaker colony when disease broke out aboard their ship. Two children – a son, William, and a daughter, Eleanor – were the sole survivors and later taken in by families from the close-knit Quaker community in colonial Pennsylvania. Somehow this tragic event has become part of the family lore of another Banes: Deborah Baynes, wife of Thomas Ashton of Makefield, Bucks County, Pennsylvania. DNA Day is here and many have been snapping up DNA test kits on sale this week at FamilyTreeDNA and Ancestry. Most probably test because they want to learn what the test will tell about their ethnic makeup. 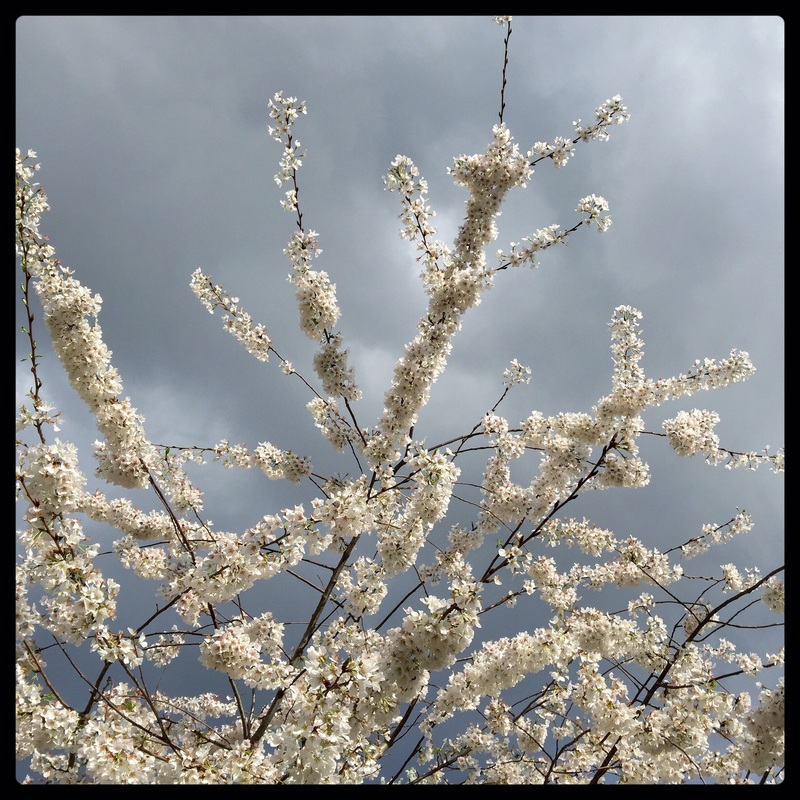 But for serious genealogists and family historians, testing opens the doors to exciting yet often bewildering territory. FamilyTreeDNA just updated their myOrigins admixture mapping tool this week and my ethnic estimates have definitely changed. When I initially tested, myOrigins broke down my ethnicity as follows: 31% Ashkenazi Jewish, 4% Middle East, 22% Scandinavian and 43% British Isles. Those results initially had me puzzled. But the update also leaves me with some confusion. Just wanted to share a recent stunning DNA test revelation. This finding probably would have been devastating for all parties involved if it had come to light back in the day. Today, it’s just a fascinatingly juicy detail that reveals more about a distant ancestor’s life.